Amphibious Armageddon! 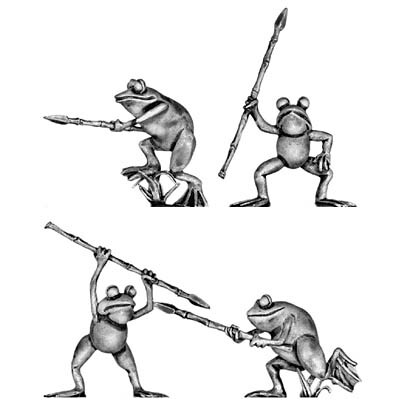 Fresh from making a big splash at Historicon comes our new range of 28mm Warrior Frogs. Fed up with lurking in the lily pond, these armed amphibians are on the march, and French chefs everywhere are running for the hills in fear. They are designed and sculpted by Kosta Heristanidis, who was inspired by the work of a Japanese artist. 4 variants. Price per figure.